A prolific and popular football writer for more than 40 years, Albert John ’Jack’ Donnelly was born in Devonport in 1915 before moving to Burnie at a young age. His father (Albert James Donnelly) was a prominent local identity who took a keen interest in history and local sport, notably authoring a detailed history of the Burnie Athletic Club for its 75th anniversary in 1962. Donnelly Snr worked as a linotype operator with The Advocate, and eventually Jack followed his father into the newspaper trade as a journalist, firstly as a shipping reporter before moving into sport. While his day job involved him reporting on sport, Jack himself was a decent athlete in his youth, involved in rowing, tennis and, of course, football. Donnelly played senior football with Cooee, APPM and Burnie, and was a member of Burnie’s 1939 NWFU premiership team; interestingly, he wrote previews/reviews of many games in which he himself was involved during this period. Donnelly also played one season for Launceston in the NTFA after transferring (at the invitation of owner Sir Gordon Rolph) to The Examiner in 1946, the publication with which he would be inextricably linked for much of his career. During his time with The Examiner, Donnelly became one of the most respected football writers in the history of the game in Tasmania. Writing under his famous nom de plume of ‘Half Back’, he covered NTFA and NWFU football as well as all intrastate matches and State Premiership contests. 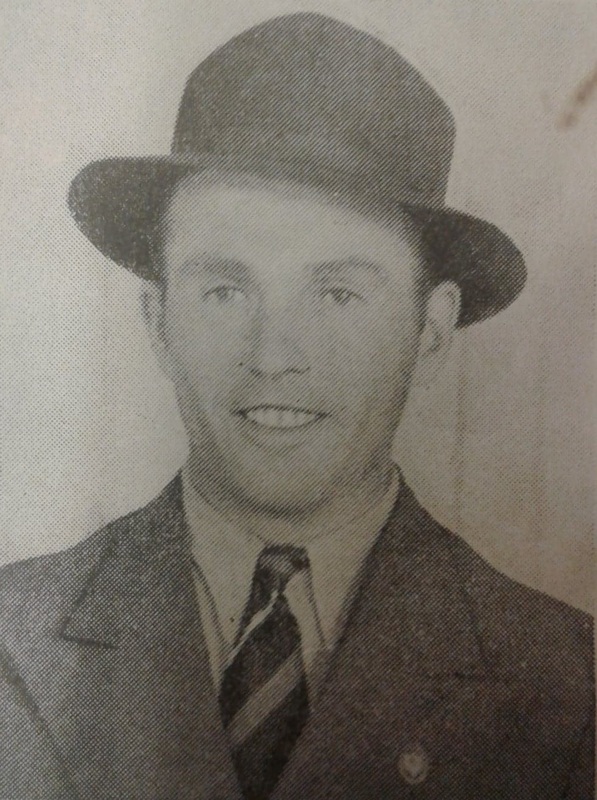 In addition, he travelled across the country to report on many Tasmanian interstate clashes, including nine consecutive National Carnivals from 1947-1972; he was particularly involved in the first of these – the 1947 Carnival in Hobart – as he was the author and editor of the ‘Tasmanian Football Guide’, the event’s official companion record and a compendium of football in Tasmania to that time. By 1966 Donnelly had been appointed The Examiner’s overall sports editor, however he continued to write fervently about football for many years afterwards. Deeply passionate about the game, Donnelly’s knowledge of all things football – particularly within Tasmania – was known to verge on encyclopaedic, and he was so highly regarded in fact that he was a regular contributor to Melbourne’s famous Sporting Globe publication. Though primarily known as a football writer, Donnelly also covered a wide variety of other sports and events, including the 1956 Olympic Games in Melbourne, King’s Cup rowing contests, athletics, wood-chopping, cycling, motor racing at the Longford circuit and many others – even pigeon racing. His dedication to sport went well beyond his journalistic endeavours: he was involved at committee level with Tasmanian rowing, while he also played a key role in the rise of cycling in the state during the 1950s and 1960s, proving particularly integral in the establishment and success of the ‘Tour of the North’ and ‘Tour of Tasmania’ events. After a distinguished 45-year career, Donnelly retired from his position with The Examiner at the end of 1980. He continued to follow football – and all sport – with terrific enthusiasm for the rest of his life until his passing in 1995 at the age of 80. He accumulated an enormous collection of sporting literature and related material throughout his life, much of which – including personal notebooks kept in his own shorthand, scrapbooks, photographs etc. – was donated to Launceston’s Queen Victoria Museum and Art Gallery for posterity after his death.